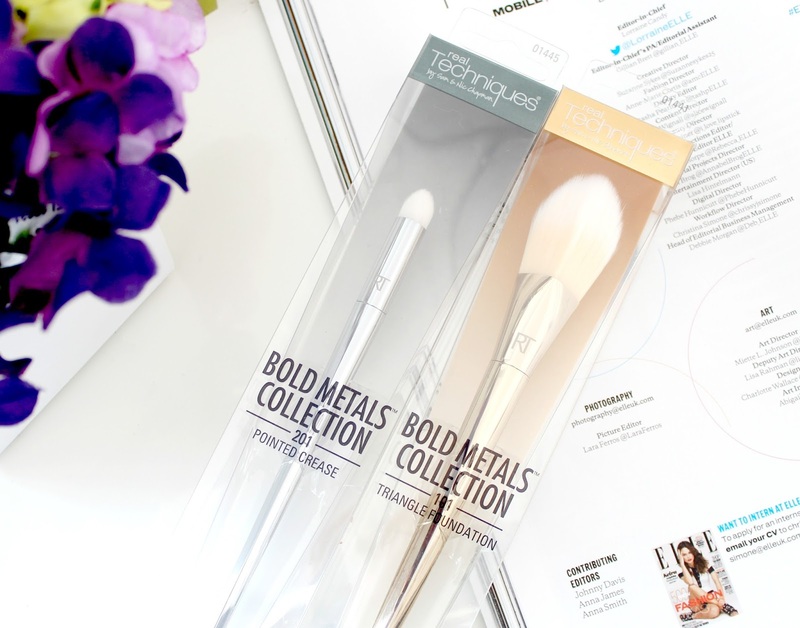 When I heard that Real Techniques were releasing a new range of brushes called 'Bold Metals', a more luxe line promised to be even better than the originals, I was pretty damn excited. I think most bloggers and beauty lovers were. 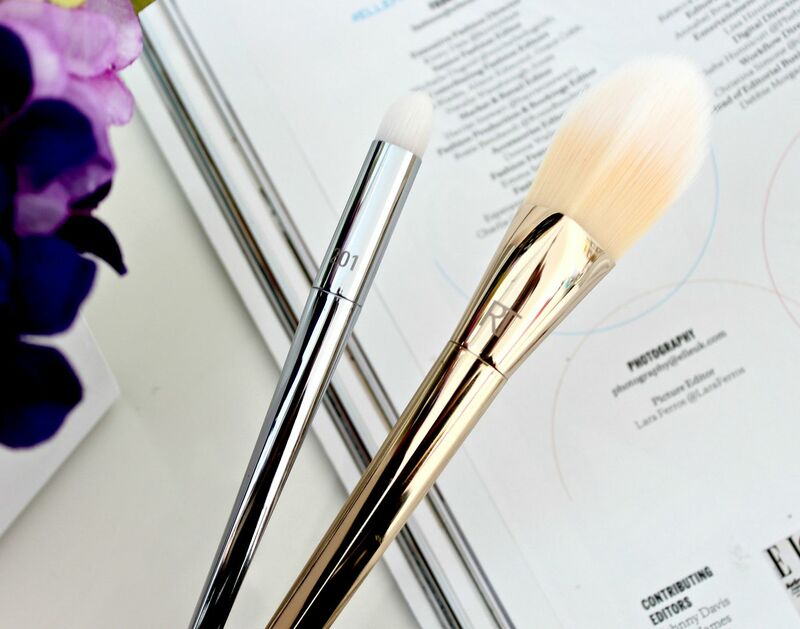 I'm a huge fan of the original Real Techniques brushes - along with Zoeva, they're my daily go-to's with the buffing brush, powder brush and blusher brush being my personal favourites. 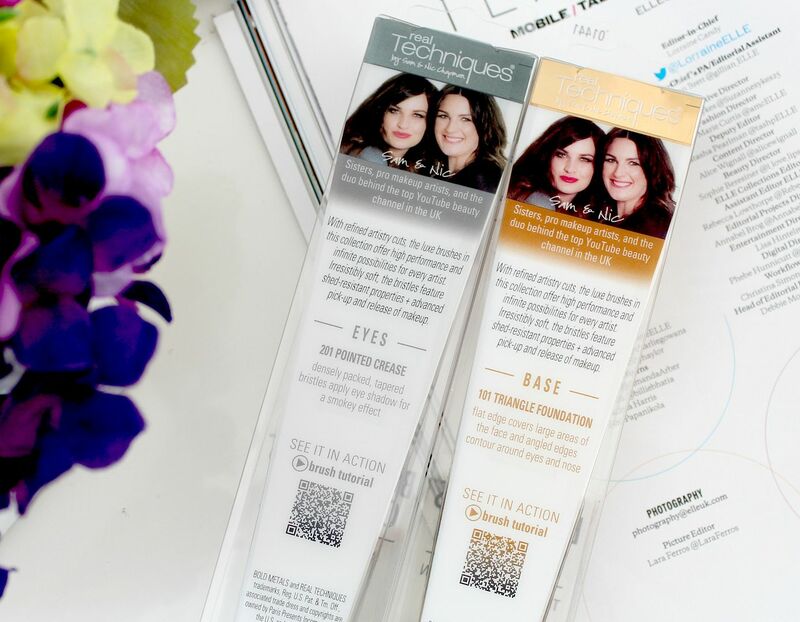 The reason I love them so much is because they're just so soft and blend products seamlessly. Another thing I love about them is the price. None of the original line cost more than £10 and you can also get sets such as the 'Core Collection' which contain four brushes for just over £20. Total bargain at just over £5 per brush. With this being said, I was quite shocked to discover the new Bold Metals brushes were at the other end of the scale completely with the cheapest brush being £10 and the most expensive £25. Yes they are stunning to look at and I can see why people would want to purchase them for their appearance alone but I have to be completely honest when I say as soon as I saw the prices, I was immediately put off. When the original line do the job so well, I just couldn't justify spending that amount of money. With this being said, I decided against purchasing them, despite seeing some good reviews. However, I was then contacted and asked if I'd like to try some brushes from the range so I thought this was a good opportunity to give them a try. I was kindly sent the 101 Triangle Foundation brush and 201 Pointed Crease brush and after giving them a go, I'm ready to share my thoughts about their quality and more importantly, if they're worth those price tags! My initial thoughts on seeing the brushes was that they're absolutely beautiful - the foundation brush has a gold metal finish while the pointed crease brush is silver. They have rose gold brushes in the range too which are obviously my fave of the three colours, being a lover of all things rose gold and all. However, beautiful appearance aside, I was quite shocked when I removed them from the packaging and felt the bristles. Unlike the original line which are super soft to the touch, I found these ones had a more plastic feel and were nowhere near as soft as the originals. I was quite taken aback by this as they were advertised as being even softer than the original and for the price point, I guess that's just what I expected. I also noticed the pointed crease brush was very big and bulky which did make me think it wouldn't be great for getting a detailed and precise finish. Anyway, this aside, I held off judgement until trying them to apply my makeup. Unfortunately, when used to apply my foundation / crease colour, they just didn't live up to expectation. Due to the strange plastic feel of the bristles, I felt the foundation brush wasn't gentle on my skin and the shape of the brush didn't work well for me either - I felt it just smeared the product over my face rather than blending it like I'm used to with the buffing brush. I also felt I couldn't get to some areas of my face, especially the eye area, without using my fingers. I read Temptalia's review of this brush here and have to agree with the points she made. Overall, I don't like this brush at all. For £22, I'd much rather buy the Core Collection and get the buffing brush plus three others. As for the crease brush, I think this one is okay and it is usable but again, the quality isn't what I'd expect for a £12 eye shadow brush. My initial thoughts were right about it being too big as its hard to apply eye shadow precisely to the crease area and because of the dense bristles, its not comfortable to blend with. However, the dense bristles does mean it picks up colour well so I've been using it to apply the colour and then using another fluffy brush to blend it out. I was hoping I'd also be able to use this for applying eye shadow under my lower lash line too but again, its just far too big. So there we have it - not a great review unfortunately. I hate to be so negative on my blog but I have to be honest, regardless of being sent the brushes as samples. My advice would be to stick with the original line which are excellent and save your money. Yes the Bold Metals Collection is pretty but the quality just doesn't match the prices. If I were to spend that much on brushes, I'd head to MAC instead, which I know are of a very high quality. As I've only tried these two brushes, I can't speak for the rest of the range. I've heard good things about both the blush and flat contour brushes so maybe they're the stars of the show and I tried two of the not so great ones. Who knows. Hopefully I'll get the opportunity to try the others in the future. I'd love to hear your thoughts if you've tried these brushes, or any others from the range. If you haven't, will you be buying them? I don't own those two brushes but I do have the powder and contour brush. They're both lovely, I use the powder brush for bronzer and it works great cause it's tapered. I knew I was not gonna like the foundation brush cause as you I prefer a buffing brush for foundation. It's such a shame you didn't like these! I haven't tried these myself but they look stunning. I hope you like the others in the range seeing as they're more expensive than the regular ones! I'm definitely going to skip these-no brush is worth that much money, in my opinion! Especially with the lower priced Real Techniques brushes on the market, I'd rather go for those, like you said! 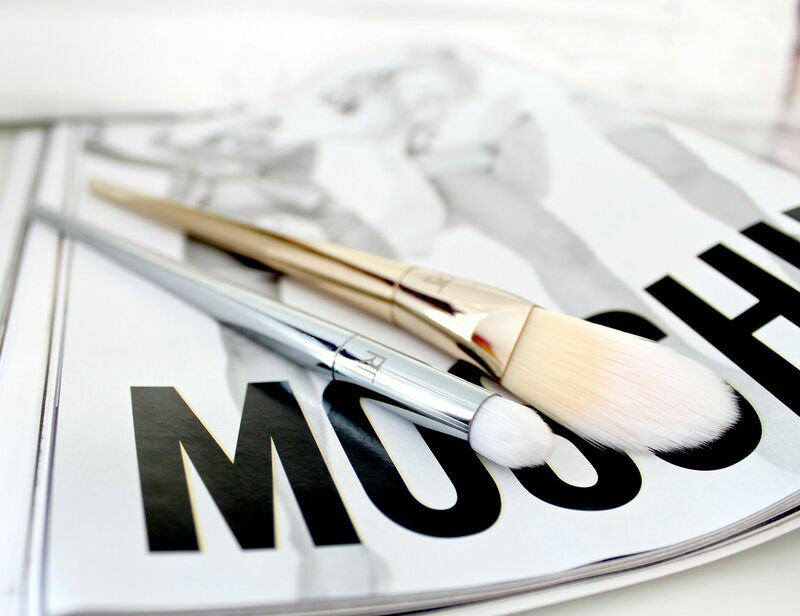 Oh dear, I was thinking about buying the contour brush but I'm not so sure after this review! This review has kind of just backed up my thoughts against not buying them! 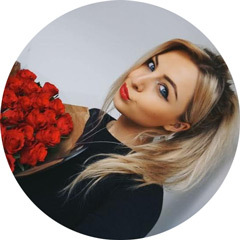 Just from looking at them (for example the foundation) I felt it would do exactly what you have said. I'm glad just because you have a big platform you haven't just jumped on the band wagon and raved about them falsely! Thankyou for such an honest review! I have to admit, I was put off by the price tag and after reading your review, I think I will give these a miss! Love the honest reviews ! I really enjoy your honest review! I've heard the flat contour brush and the blush brush are fairly good. I really want to try the contour brush, apparent it's a dupe for the NARS Ita brush, but I don't know about that. When I saw the prices it was a big disappointment for me too. But pixiwoos said that the price was like this because they were more like an high end/quality brushes. But for your review and many others, it doesn't look like it. I am glad I never bought any of them... I am happy with the original brushes. Thanks for your review! Giving these a miss now and will get the core collection, was going to add this to my wishlist but glad i didn't now, thanks for the heads up! Aw, I was dying to get my hands on these brushes! Great post! But unfortunately I don't like these brushes at all! They don't blend well! This is a great review! I wont be buying any of these brushes! The prices is just unreal and I would never spend that much on a make up brush. The packaging is lovely though! I'm actually quite glad that you don't rate them that highly, they are so beautiful but I kind of resent having to rebuy the same sort of brushes that I already have now they're almost out of date! Great review I was thinking of giving these brushes a try but I don't think I will know. Don't worry about being negative: we (your readers) want you to be honest. If you are always positive, then the reviews are hardly worth doing, plus we might begin to suspect that you are just pandering to the companies. Carry on the way you are. we love it. Ah it's so good to see an honest review, I was going to pick up the rose gold contour brush, but I'm not 100% sure! I think I'd rather wait for the new Zoeva brushes this year. The price of these definitely puts me off, but they do look pretty! I'm not planning to but I'll most likely end up buying them, they're just so gorgeous! Too bad you didn't like them but I still would try them if I got the chance to see if it would work for me. They are super pretty though. I recently bought the Real Techiques eye brush set (Starter Set?) and LOVE them so I'm planning to get the face set next when I have some spare cash. This is a good post, it's great to read something honest so it actually helps me decide what to buy. I think I'm going to go with their original stuff. Negative but honest. Never a bad thing. These brushes are so gorgeous it's such a shame the quality doesn't match the appearance. It's a shame these didn't work out for you. I was skeptical about these brushes, especially the foundation brush. Glad I held off. Too bad though because I love the regular Real Techniques brushes. It's refreshing that you're so honest in your reviews! Despite your bad experience, I am just dying to try out the Flat Contour brush - it looks dreamy for sculpting out cheekbones! These brushes are so, so beautiful! I totally love the Bold Metals brushes, they are so gorgeous to use, and I use the pointed crease brush everyday. They are so worth the money.